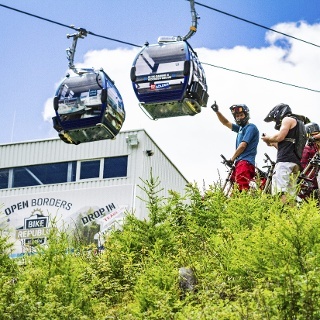 Unrivaled flow starting below the Middle Station of Gaislachkogl mountain gondola, leading down to the junction of Teäre, Ohn and Broate Line: myriad waves, a wall ride, the legendayr snail and 130 turns are spread on this 5.2 km long trail which puts a huge smile on every biker's face. 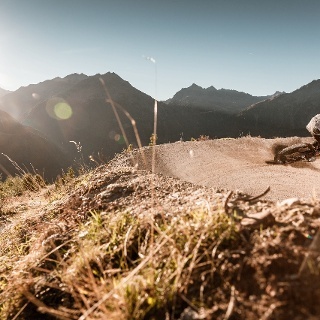 No matter if you are a beginner, an advanced rider, an enduro fan or freeride pro: Ride it, feel it, love it! TEÄRE LINE has already become a little legend among bikers who love playful and varied lines. 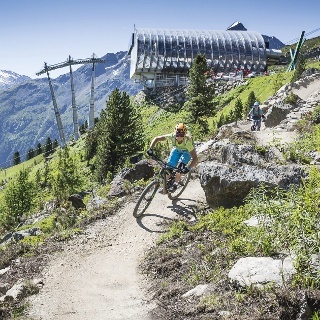 This ultimate Flow Trail starts below the middle station of Gaislachkogl Mountain Gondola straight and leads down to the the overpass of the glacier road by "Stiegele", featuring a wall ride, a superb wooden snail and some 130 flowing turns that remind of surfing on two wheels. 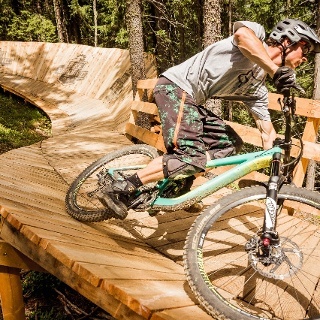 TEÄRE LINE promises a maximum of fun also for less experienced bikers while many waves and turns offer action-packed downhill biking for pros. 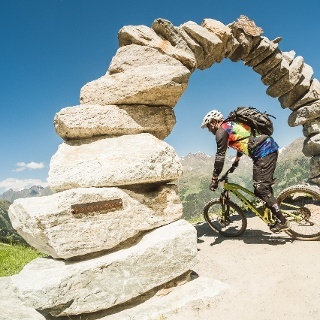 You keep to right at the middle station of Gaislachkogl Mountain Gondola, after about 150 meters you reach the access to the BIKE REPUBLIC SÖLDEN. First you follow EEBME LINE (6005) towards the start of TEÄRE LINE (6003). The almost 6 km long TEÄRE LINE boasts 130 turns until you reach the start of Broate Line (6027). 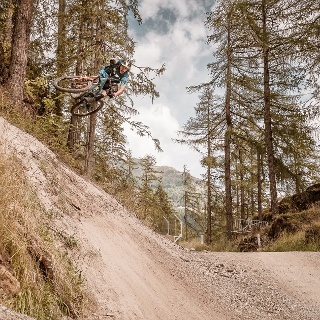 You can also choose the highly demanding Schtecklar Trail (6013), which crosses the Broate Line several times before leading down to the pumptrack Rolling.